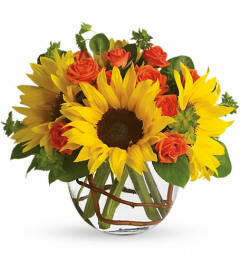 Like a bright autumnal sunrise, this warm, friendly bouquet brings a sense of sunshine to any space. 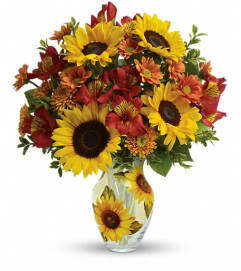 What a wonderful way to share cheerful fall feelings with someone you love! 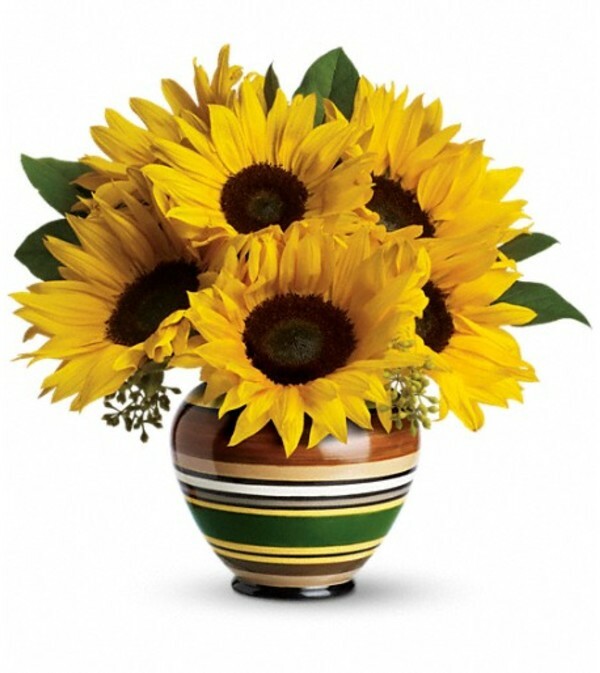 This bright, sunny bouquet features 4 large sunflowers mixed with fresh green bupleurum and salal.